The Natural History Museum is one of London’s many wonderful free museums and I can assure you it is well worth every penny you put in the non-compulsory donation stands. I have visited the museum many times over the years and I will never get bored of their wide range of fascinating animals. Visiting this museum is one of the reasons I decided to study zoology at university. It’s hard to recall the sense of wide-eyed wonder I had when I first walked through the door of this magnificent Victorian building. Dippy was the first dinosaur I had seen in real(ish) life. Beyond Dippy was life in all its glorious biodiversity was laid out for me to explore. On one memorable early trip we signed up for a behind the scenes tour, where we were taken through room after room of animals preserved in formaldehyde, some of them hundreds of years old. 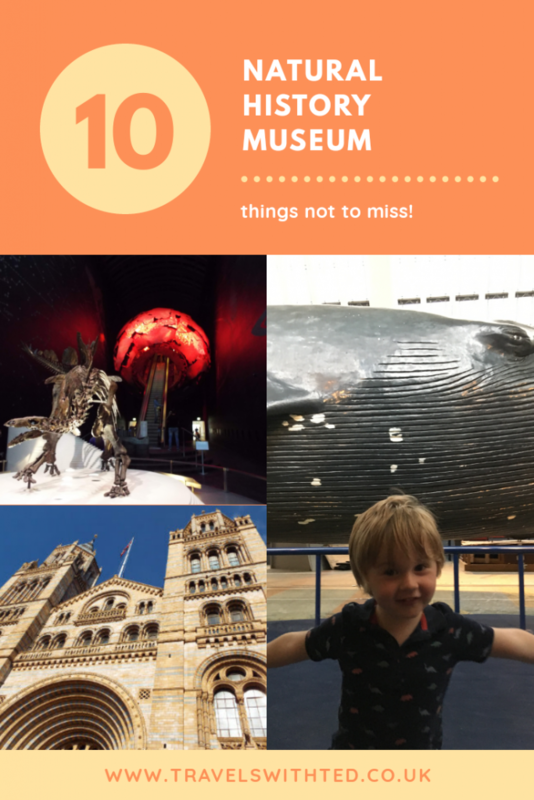 (I’m not sure the NHM does anything like this on a regular basis but it’s worth checking out what special events and exhibitions they have on). 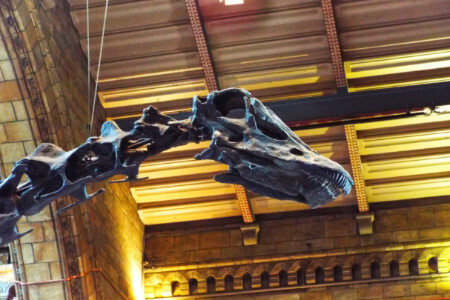 In many ways it is sad that Dippy no longer presides over the entrance hall to greet us as he has done on all our previous visits. He is currently embarking on a 3 year tour of the UK. He has been replaced by an extraordinary model of a blue whale, relocated from the Mammals Gallery. 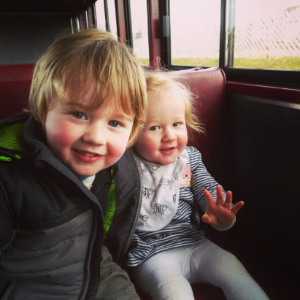 We have taken Ted to the museum twice. For him, especially on the second visit, it was all about visiting the dinosaurs in the place where Andy works. (For those unlucky enough not to be initiated, Andy’s Prehistoric Adventures is a cbeebies programme). I’m not sure the Dinosaur Gallery lived up to Ted’s expectations. To be fair to the NHM, Andy’s displays wouldn’t last five minutes under the daily onslaught of the school children that charge through. OK, so I’ve started with an obvious one. Everyone knows about the Dinosaur Gallery so that’s where everyone heads first. It’s hot, its crowded and at times it’s hard work. My advise is get there early to avoid the tidal wave of school groups that march through at an unrelenting pace. If that’s not possible then concentrate on the best exhibits. You can’t really miss the building, it’s large, really large. Look closer at the stonework, this building was designed to hold its treasures. Inside you can get even closer to the ornate stone carvings. There are details everywhere, be sure not to miss them. The Mammal Gallery is jam-packed full with the biodiversity of mammals. This is a subject I’m very fond of thanks to David Attenborough’s Life of Mammals. The whales that dominate the centre of the room steal the show for me (as it is for most people I suspect). Even without the blue whale it’s still an impressive sight to see so many different species of whale swimming together in such a small space. 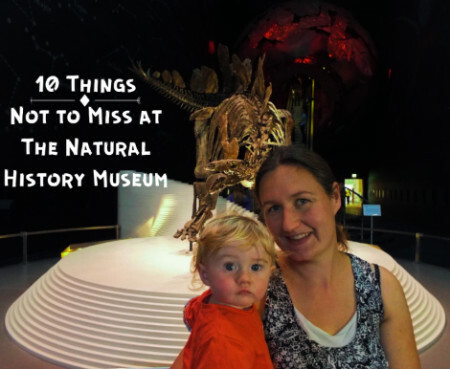 Most visitors overlook The Darwin Centre and so is a much quieter part of the museum. Some 300+ scientists work at the museum and here you can see a few carrying out research. There’s also lots of interesting, interactive displays telling you about the various scientific projects the museum is involved in. I’m a big fan of marine reptiles (reptiles from the age of the dinosaurs that lived in the seas) and they have some incredible specimens here. Seriously, check out the eyes on the Icthyosaurs. 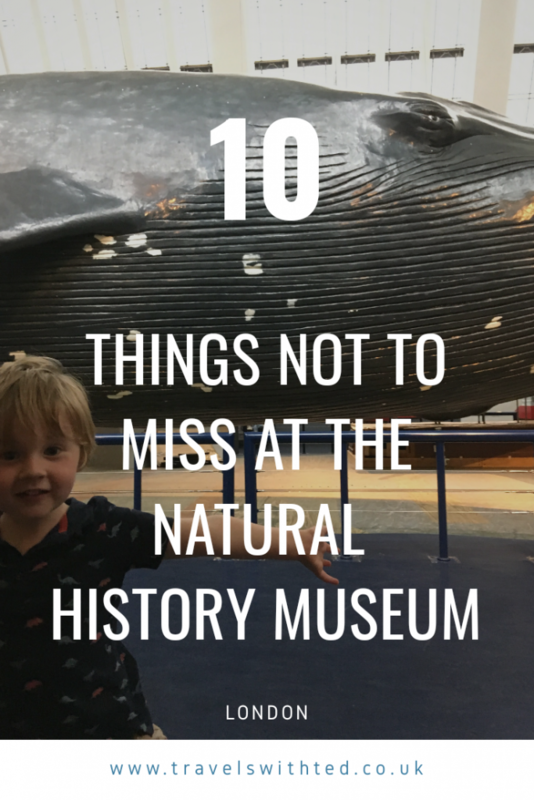 Also lumped in here because they didn’t know where to put it is the Giant Sloth which is well worth a look. By taking a giant escalator through the centre of the Earth you can reach the Earth Hall. Here you will find most of the geology section of the Natural History Museum. There are some really cool exhibits here including an earthquake simulator. If you’re going to visit one plant on your visit today then make it this one. This is counting tree rings at its best. Just in case you missed it, the Entrance Hall is worth pausing for a moment to admire. Aside from the blue whale this area house plenty of other fantastic beasts. You’ll be searching for Andy’s clock for a long time though. Tucked away at the top of the Natural History Museum this small room is easy to miss. But if you make the effort I can guarantee it’s worth making the climb up the stairs. Each exhibit has a fascinating story to accompany it, you could easily spend your day here. I genuinely don’t know what to put for the final point! Don’t miss any of it, it’s all good. 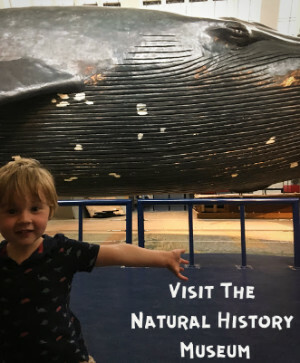 Visit The Natural History Museum’s website for more details. 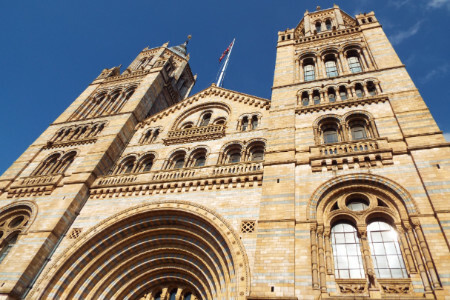 Have you visited the Natural History Museum? What’s your favourite bit? Have I missed anything from my list? We also love The Sedgwick Museum of Earth Sciences in Cambridge.